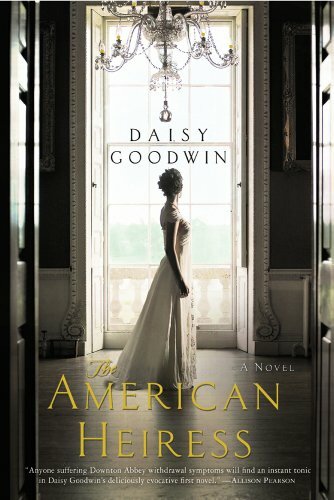 This brilliant new novel by Daisy Goodwin is a lush, irresistible story of the public lives and private longings of grand historical figures. 1. 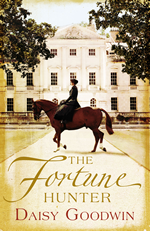 The fortune hunter of the title, of course, is Bay Middleton. What do you think of his character, and what fate do you think he deserves? 2. In her day, the Empress of Austria, or Sisi, was considered the most beautiful woman in Europe, married to one of the richest and most powerful men. In what ways do you see her position as enviable or otherwise? 3. By the time the novel opens, Sisi is in her 30s, and so worried that her beauty is fading that she refuses to sit for new portraits or to have her photograph taken. How do you regard her beauty rituals and her fears? Were you struck by the similarities between Sisi’s routine and that of a modern celebrity: the exercise, the veal, etc.? 4. While very different, both Sisi and Charlotte Baird face constraints because they are women: Sisi is defined by her husband’s position, and Charlotte, whose wealth gives her certain freedoms, is nevertheless ordered around by her aunt and her future sister-in-law. Maintaining at least the appearance of propriety is essential for both. In what ways has life improved—or not— for women in the 21st century? 5. 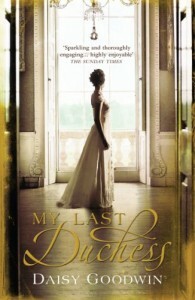 Queen Victoria offers a different perspective on a woman with unusual power. What do you think of her in this story? How do she and Sisi reflect the privileges and/or burdens of royalty? 6. What is your view of Charlotte? Do you think that she and Bay could be happy together? 7. Daisy Goodwin has said Sisi reminds her of Princess Diana: Each was unhappily married at a very young age to a much older husband with whom she had little in common; each was idolized and hounded for her glamour; each found consolation both in affairs and in charity work. What do you think of these parallels? 8. In the love triangle here, do you see one of the three principals as the central figure, or does the focus seem equal? Do your sympathies lie with one of the characters more than the others, and do your allegiances shift in the course of the story? 9. How do you feel about the ending? Would you have wanted something different for any of the characters? 10. What role do photographs play in the story? How do pictures hide or reveal the truth? 11. Charlotte compares Caspar’s photos of the American west to her own work: “How I envy you your deserts and your endless light. We have nothing like that here, that’s why we have to create little tableaux in studios…housemaids dressed up as goddesses.” Similarly, Sisi feels the need to “escape the stifling formality of the Austrian court.” What does this say about Victorian society, and do you feel things have changed for the better or the worse? DAISY GOODWIN, a Harkness scholar who attended Columbia University’s film school after earning a degree in history at Cambridge University, is a leading television producer in the United Kingdom. She is also a book reviewer for London’s The Times and was chair of the judging panel of the 2010 Orange Prize for Fiction. 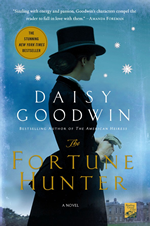 The Fortune Hunter is Daisy’s second novel, following the New York Times bestseller The American Heiress. Or follow her on Facebook!